I didn’t mention that there are similar standards in place for many wines and other traditional foods that have become associated with the gastronomic traditions of certain regions. Of particular interest are the prosciuttos produced in different regions of Italy. Prosciutto is Italian for ham. In Italy it is a generic term that refers to all kinds of ham, both cooked and not cooked. For people outside of Italy however, when we mention proscuitto, we are generally referring to the raw cured hams made in the traditional way. Raw curing is a time consuming and labor intensive process which has been practiced in Italy since Roman times. It involves first cleaning and salting the ham and then leaving it for two months. After that, the ham is gently pressed to drain any blood left in the meat and to get rid of excess salt. It is then hung in an airy place to dry for up to two years. 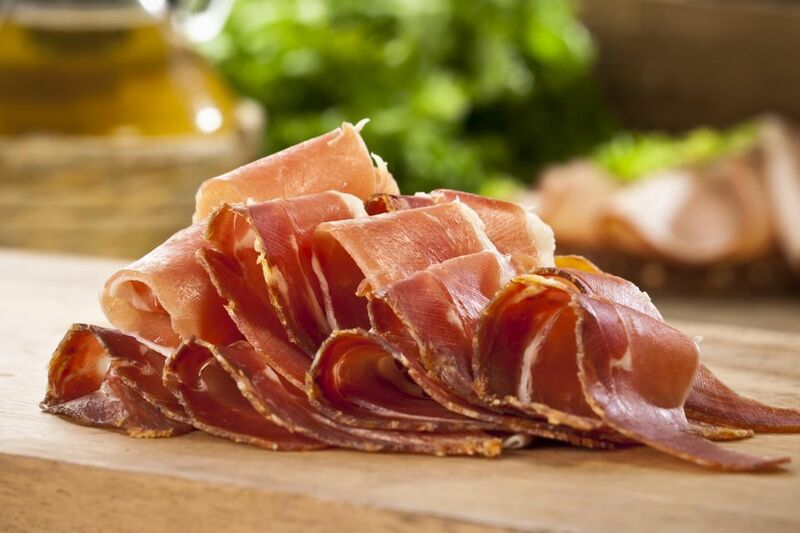 There are several name protected varieties of proscuitto produced in Italy, but the one we are most likely to see in the United States is Proscuitto di Parma, made in the same Parma region of Italy which produces Parmegianno-Regianno cheese. It has been accurately said that the story of proscuitto is really the story of the pigs used to make it. These pigs are raised according to exacting standards, especially with regard to their diet. In the case of Prosciutto di Parma, that diet includes the leftover whey from the production of the Parmegianno cheese, which is believed to impart a “sweet” taste to the final product. The result of all this fuss is a ham which is incredibly delicious and so tender that it almost melts in your mouth. 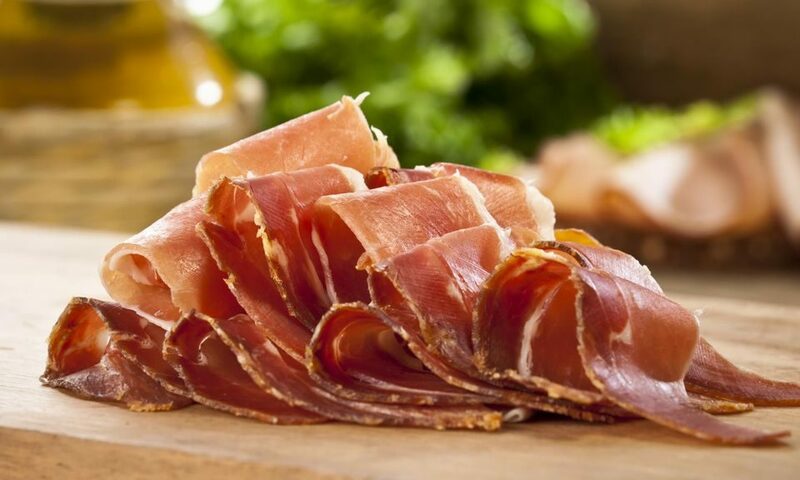 Proscuitto is normally sliced very thin, and can be used in a number of ways. Sometimes it is wrapped around fruit, such as slices of melons or fresh figs. 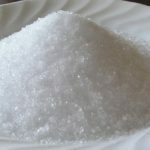 It can be incorporated in pasta dishes, pastries or sandwiches. It can be wrapped around other meats, such as steak. 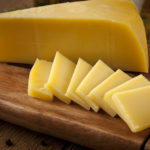 And it is frequently used as an accompaniment with cheese. Genuine proscuitto is not cheap, but it is so flavorful that a little bit goes a long way. For authentic Italian cooking, there is really no substitute. Here is a pasta recipe which features prsocuitto. Bring broth, cream, garlic and crushed red pepper to boil in saucepan. Remove from heat. Mix in 1/2 C Parmesan. Cover and keep warm. Melt butter in large nonstick skillet over med-high heat. Add mushrooms; saute until brown and tender, about 8 min. Remove from heat. Meanwhile, cook pasta in large pot of salted boiling water until al dente. Drain pasta and return to pot. Add cream mixture, mushrooms and peas and stir over low heat until well coated with sauce. Mix in prosciutto. Cover and let stand 1 min. Transfer to bowl. Serve with additional parmesan.